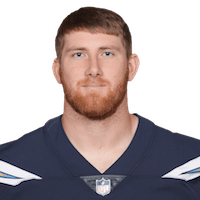 Bowman was waived by the Chargers on Saturday, Ricky Henne of the team's official site reports. Analysis: Bowman's brief NFL career has included just one target in three games, so his lack of experience didn't help in his quest for a roster spot. The Chargers re-signed veteran Antonio Gates on Sunday to provide additional depth behind Virgil Green. There are no videos available for Braedon Bowman. Click here to view all videos.